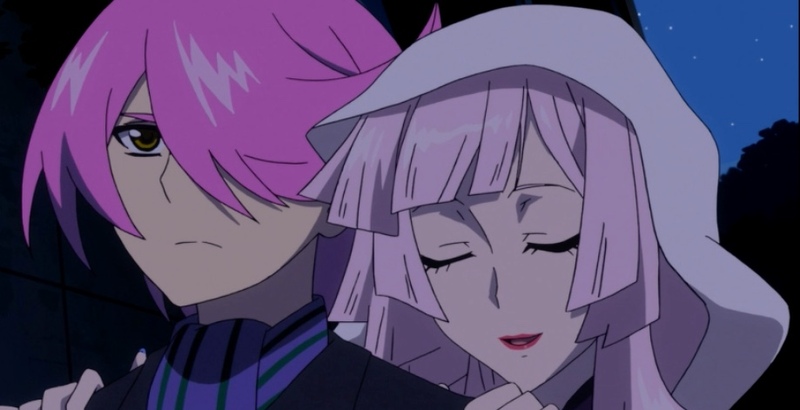 Concrete Revolutio’s 10th episode, Mirage of Destiny, served as the obligatory time-travel episode. Of course, it wasn’t content with a simple time paradox! 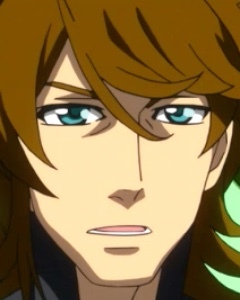 Hyouma Yoshimura is preparing to back in the past. The woman helping him prepare explains time period-specific idiosyncrasies like using a pay phone. His mission is to destroy the Advocates of Free History. She tells him that regardless of his success or failure, his body will automatically return after one week in the past — or about 5 minutes her time. The scene shifts to one of the present times — Jirou Hitoyoshi is still part of the Superhuman Bureau. A human cheated by two superhumans in organized crime has taken them hostage and threatens to kill them and himself. He’s in a standoff with police, and the Superhuman Bureau members Hitoyoshi, Emi Kino, Kikko Hoshino, Fuurouta, and Yoshimura are hiding a little ways away. When Hitoyoshi says he’d like to save the human, too, since he was a victim of a scam, Kino reminds him that their mission is to save the two captive superhumans. Kino reminds Hitoyoshi that they’re not there to save the human, only the superhumans. Capture from the Funimation stream. Hoshino notices what she thinks are two versions of Yoshimura, but before she can say anything, an explosion interrupts her. An airship associated with IQ (Infernal Queen) arrives on the scene and launches two flying motorcycles. Their goal? Kill everyone who’s evil. They’ve been killing people across the globe, from gangsters to corrupt politicians to people like the man who’s holding hostages. They kill the hostage taker, then kill the two hostages because they were “evil,” too. Hitoyoshi is dismayed. IQ’s bosses tell them that the Superhuman Bureau is now a target, too. When the lackeys ask the leader if he’s heard of them, he says yes — and it turns out the leader is Yoshimura! Back at the Superhuman Bureau, the Public Security Force, an anti-superhuman branch of the government, visits and briefs them on their progress with IQ. The Force has photos of key members, and one of the photos is of Yoshimura. He admits it was him, and Daishi Akita assumes that Yoshimura was undercover. The Force leader doesn’t accept that excuse, and Yoshimura uses his time power to escape. Hoshino uses her magic to find him and asks him what’s going on. When Yoshimura says you can’t erase the past, she brings him back to her place, where she’s captured the Yoshimura she saw back at the hostage scene. Yoshimura (from here until the end of the review called Yoshimura(present)) explains that they’re both from the Time Patrol. He confesses that while he was in Time Patrol, he thought he could make things better by changing history, so he escaped and formed IQ (Yoshimura(IQ)). In the 25th century, there were no superhumans; someone in the past had destroyed that option. So, Yoshimura(present) went back to found IQ. While in IQ, another future self confronted him but could not kill him because of the grandfather paradox. So, he traveled back again to become Yoshimura(present). His goal now was to protect and manage superhumans. Yoshimura(future) protests that if Yoshimura(present) kills Yoshimura(IQ), then both will cease to exist due to the grandfather clause. Yoshimura(present) explains that time has a way of protecting itself against major disruptions like someone from Time Patrol destroying the hominids that were human’s precursors. However, he says he’s no where near important enough for time to invoke that clause. Yoshimura(present) accepts his disappearance as the price for fixing his mistake. Hoshino is anxious; she does not want him to die. When the IQ airship attacks again, Yoshimura(present) leaps to attack. Hoshino takes the time controller from Yoshimura(future). Hoshino has an idea that she hopes will protect Yoshimura. Capture from the Funimation stream. Kino and Hitoyoshi engage the enemy with magic and Equus. Hitoyoshi tries to argue that simply destroying anyone designated as “evil” won’t help. Yoshimura(IQ) calls him a child. Equus manages to damage the airship. As Yoshimura(IQ) tries to call for help, Yoshimura(present) attacks. As he lay dying, Yoshimura(IQ) is astonished that Yoshimura(present) fired his weapon because of the grandfather paradox. The present version explains that killing evil is too childish an idea to possibly work. When Yoshimura(IQ) dies, Yoshimura(present) is ready to vanish. But he stays! After he escapes the crashing airship, Hoshino finds him. She tells him that she took the timepiece from Yoshimura(future) and showed it to Magotake Hitoyoshi, who was able to reverse engineer it. In other words, if Yoshimura(present) had ceased to exist, time travel would never happen, so time now regards him as an “unsolvable paradox” — thus protecting him. When Yoshimura(future) returns to the 25th century, it appears that superhumans now exist — and he’s one of them. The time portal effect reminded me of the old 1960s television show called “The Time Tunnel.” Yes, I’m old enough to remember it when it was first aired. No, I never met a Velociraptor. At least not in person. That I’ll admit. Kino’s telescope is a living creature with multiple huge eyes. I thought that really fitting for her character. It’s the kind of thing I like about Concrete Revolutio: unusual beings working together. Kino used a living telescope. Very cool. Capture from the Funimation stream. We learn that Yoshimura created Equus with arms and legs, even though those are inefficient. They were, however, whimsical. Yoshimura(IQ) didn’t understand that; Yoshimura(present) learned it, and that lesson became his defining characteristic. The interplay between the three versions of Yoshimura came across realistically to me. This series continues to introduce new protest groups like IQ all the time. It feels chaotic on one hand and hopeful on the other. If people are still able to protest, there’s hope. It’s when protest is utterly destroyed that I start to worry. When she finds Yoshimura, Hoshino asks, “Are you still here? Do you have all your parts?” Typical of Hoshino! Another time travel story. Yeesh! But at least this one had a twist I hadn’t seen before. Is Yoshimura a superhuman in the 25th century? Capture from the Funimation stream. This episode felt almost pedestrian compared to previous episodes. Maybe that’s a good thing. The last episode was emotionally difficult for me, so maybe something like a time travel story was just the ticket. 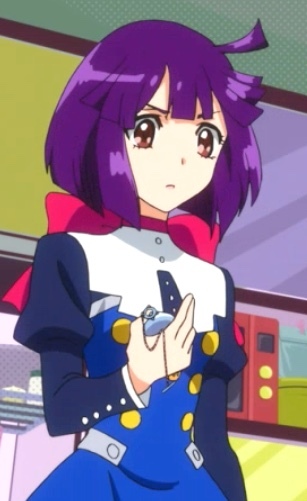 I prefer Concrete Revolutio when it pushes the boundaries. Sure, this time travel story had three iterations of Yoshimura, and that’s at least one more than I’ve seen other shows explore. And yes, it had reference to IQ trying to blindly destroy evil with any due process or any process at all. Still, I felt a little let down after this episode. That’s not stopping me from looking forward to next week, though! I’m still waiting to see what Hitoyoshi’s trying to accomplish after leaving the Bureau — and if he accomplishes it! The Asterisk War Episode 10: Claudia Was Right!